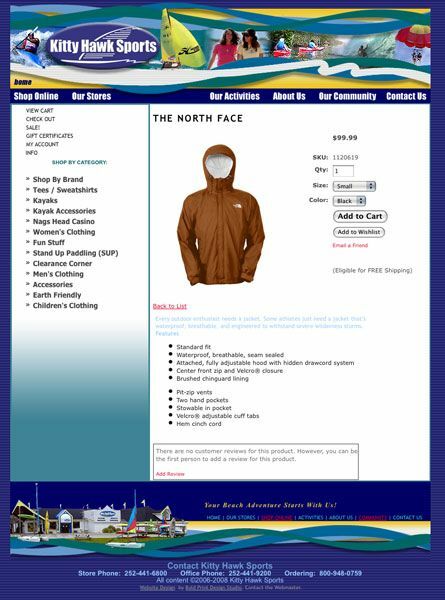 In addition to the ecommerce, the site offers plenty of information to visitors. 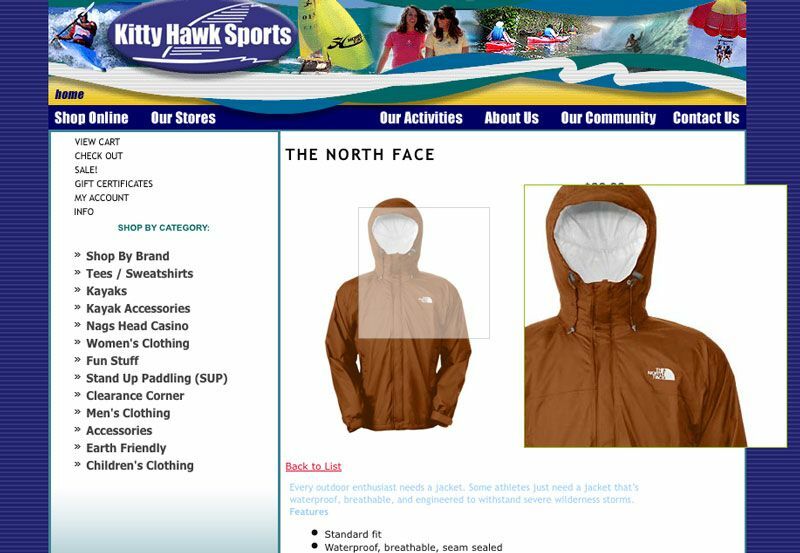 Hovering a product image brings a dynamic image magnifier for a close up view of product details. The admin panel is easy to use from any web browser. You can add, edit or delete products from anywhere. 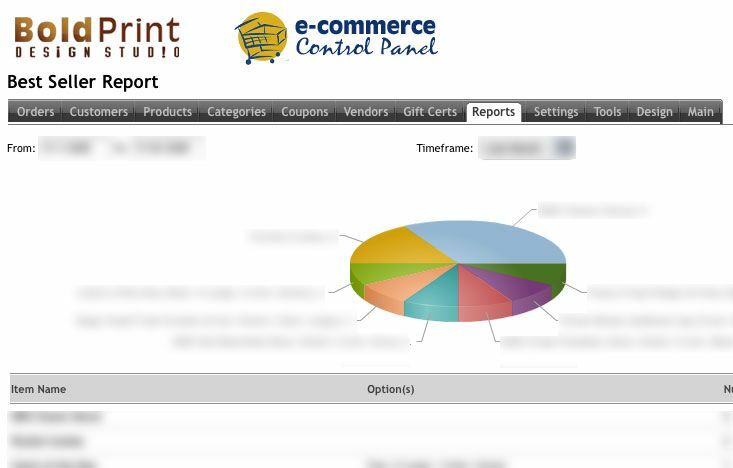 The store comes with many reports and graphs to help you keep the pulse of your online store. 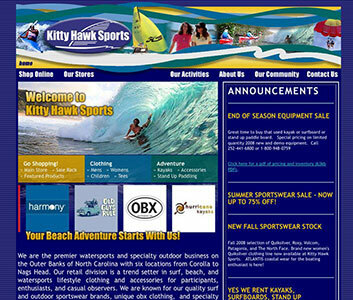 Our first involvement with the Kitty Hawk Sports website was a design makeover, to beautify the layout and make everything more organized and easy to navigate. 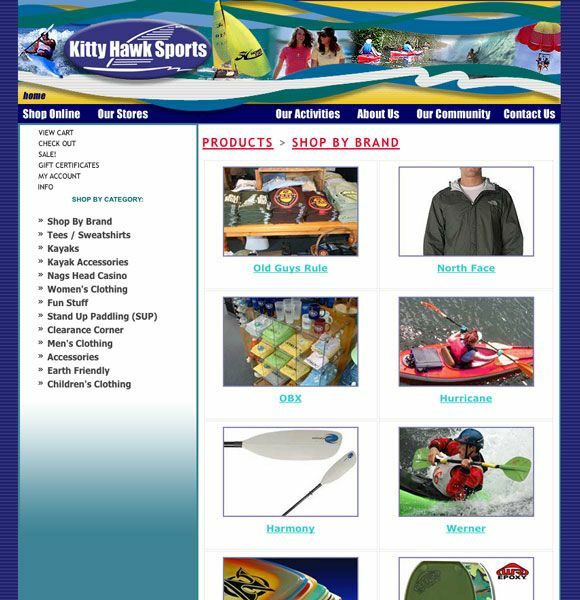 The company has seven locations offering retail sales of water sport equipment as well as watersport activity locations where you can rent equipment for the day while vacationing in the Outer Banks. All of this information as well as maps and directions, a calendar of events, a photo gallery, an online newsletter archive and sign up form, and information on their sports gear, apparel, activity and lesson offerings and plenty more ALL had to blend seamlessly into one cohesive web presence. 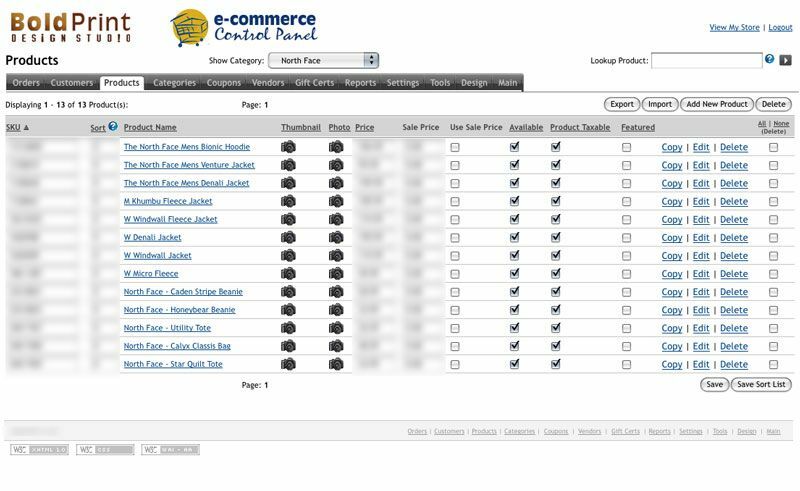 After the groundwork was laid, the ecommerce portion of the website followed. 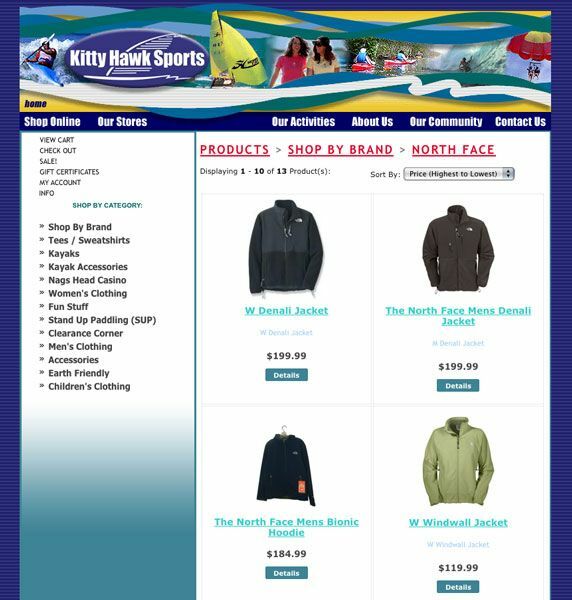 Kitty Hawk Sports sells products from dozens of categories which are all organized within their online store similarly to how they are organized in their real world stores. 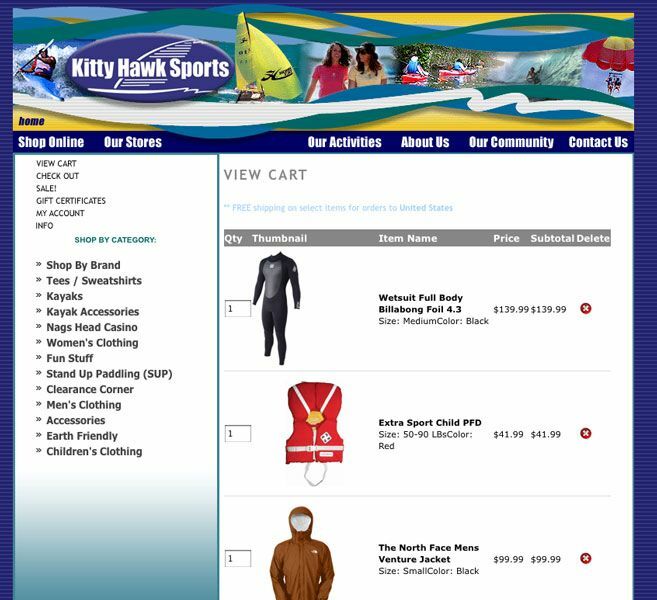 The store also offers easy management for the staff at KHS, inventory control, product editing through any web browser, gift certificates, wish lists and more, tucked seamlessly into their website and ready for online sales.